Most small police stations in Cheshire could be moved to nearby public buildings, the county's police and crime commissioner has said. Plans have already been revealed for the closure of two stations, with officers moving into nearby community buildings instead. David Keane has now said "most" other small stations could move. Mr Keane said the bases would also be regularly staffed by community support officers. Many smaller stations are no longer routinely staffed by regular officers, and are used only as facilities for refreshments and drop-in sessions. But Mr Keane has proposed a reform to allow PCSOs to use the bases in their own beat area. He said: "We will still have our dedicated central police stations in our towns throughout Cheshire. "Beyond those, our way of reaching out in a time when our budgets are being slashed by government is to do what the public would expect us to do, to make sensible decisions about sharing bases and locations." Under the plans, which are yet to be approved, PCSOs will begin and end their shifts in the police building closest to them, in a reversal of a policy introduced under the previous commissioner which saw PCSOs based at bigger stations outside their beat area. Frodsham's police station closed in November, with officers moving into the town's fire station 30m (100ft) away. 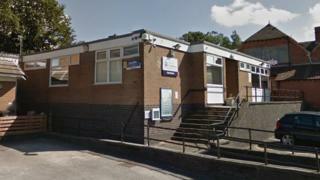 Cheshire Police has also held a consultation over plans to relocate Mickle Trafford police station, near Chester, into the local village hall.